Lightweight and small travel sized, ideal for stalking. 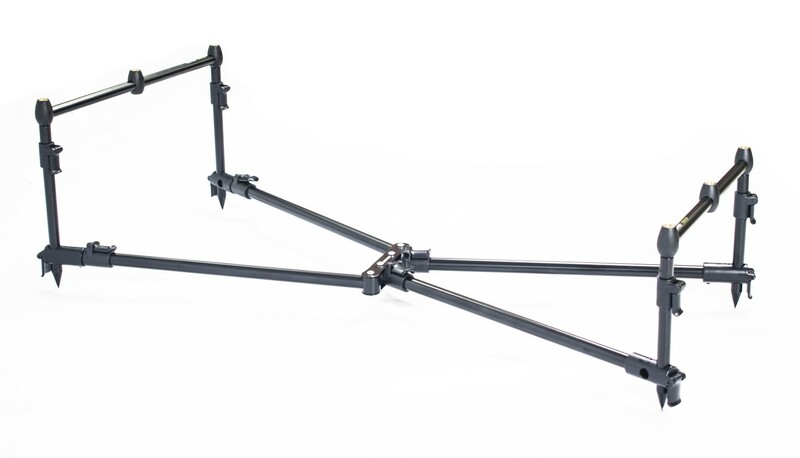 Weighing only 1.3Kg, the SKS Black Rod Pod is fully adjustable and ideal for use on wood platforms & hard ground. This is designed to sit low on the bank and will hold 3 rods in a secure and stable position.